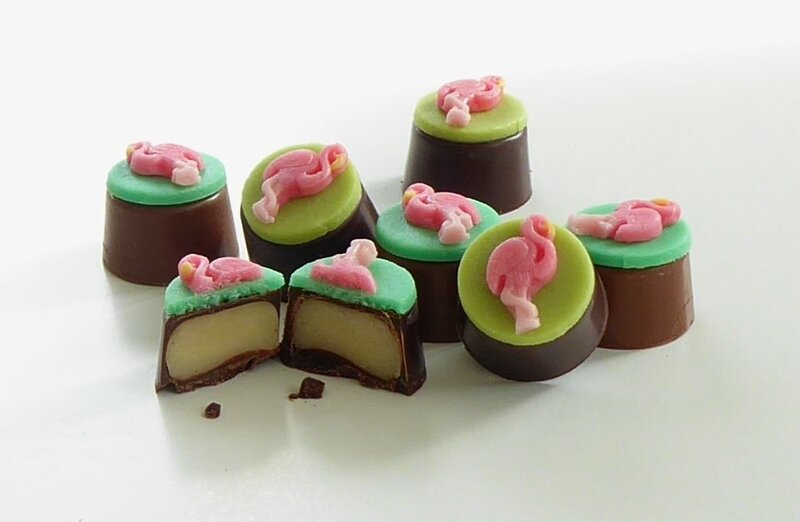 These pretty pink birds are the perfect gift for the flamingo lover and right on trend! 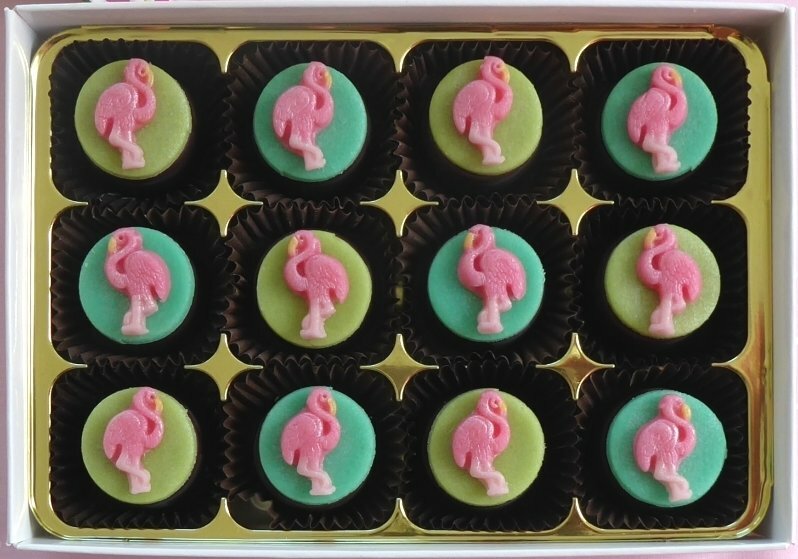 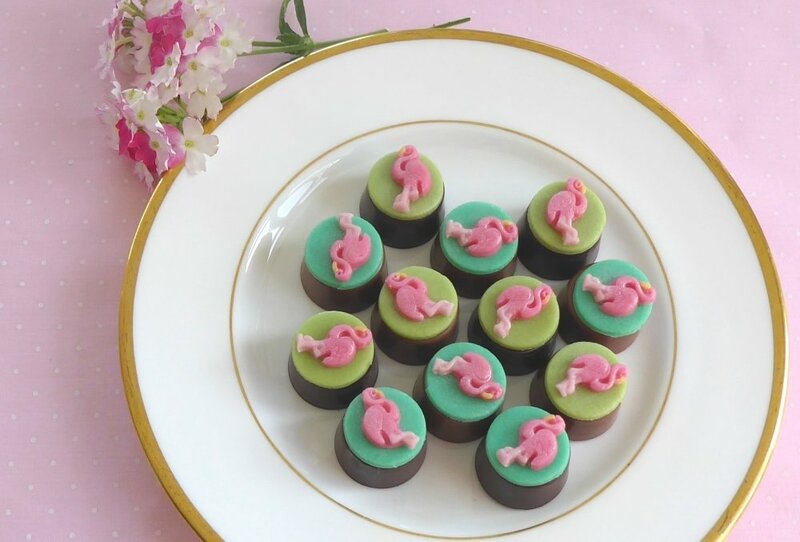 Choose from dark or milk chocolate with almond marzipan filling, decorated with beautiful handmade marzipan motifs. 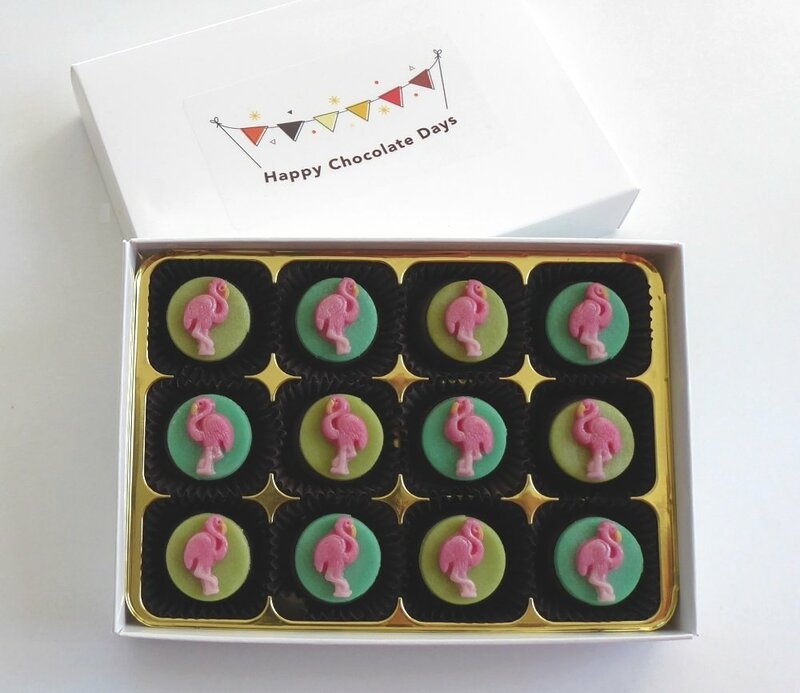 Options to create personalised chocolates by adding your own message to the chocolates, not simply the box or wrapper.